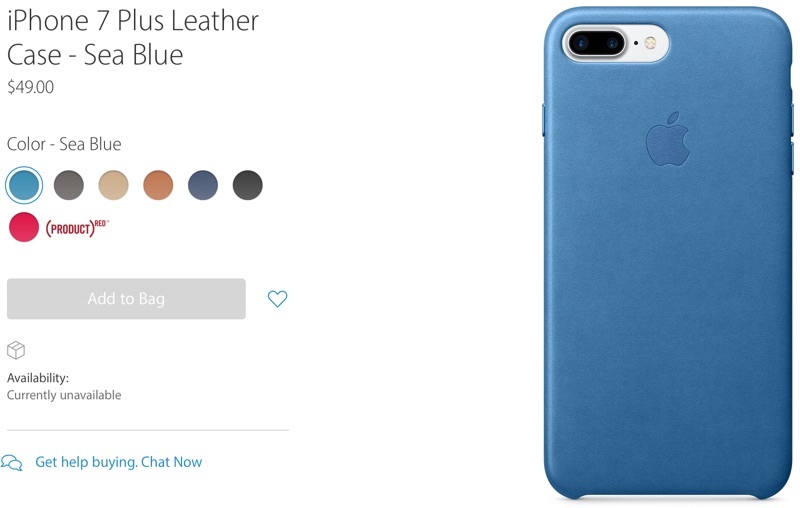 Alongside the iPhone 7 and the iPhone 7 Plus, Apple has released a selection of new iPhone cases that come in new fall colors. Designed to fit the iPhone 7 with its larger camera and the iPhone 7 Plus with its dual camera setup, the cases are available in the standard leather and silicone materials for each device. Silicone cases, priced at $35 for the iPhone 7 and $39 for the larger iPhone 7 Plus, come in nine colors: Pink Sand, Sea Blue, Ocean Blue, Stone, Cocoa, White, Black, Midnight Blue, and (PRODUCT) Red. Leather cases, priced at $45 for the iPhone 7 and $49 for the iPhone 7 Plus, come in 7 colors: Sea Blue, Storm Gray, Tan, Saddle Brown, Midnight Blue, Black, and (PRODUCT) Red. The iPhone 7 and 7 Plus cases are not yet available for purchase, but should become available for pre-order on Friday, September 9 when pre-orders begin for the two new smartphones. To match the iPhone 7 and 7 Plus cases, Apple has also updated its line of Smart Covers and Cases for the iPad, offering them in the same silicone colors. 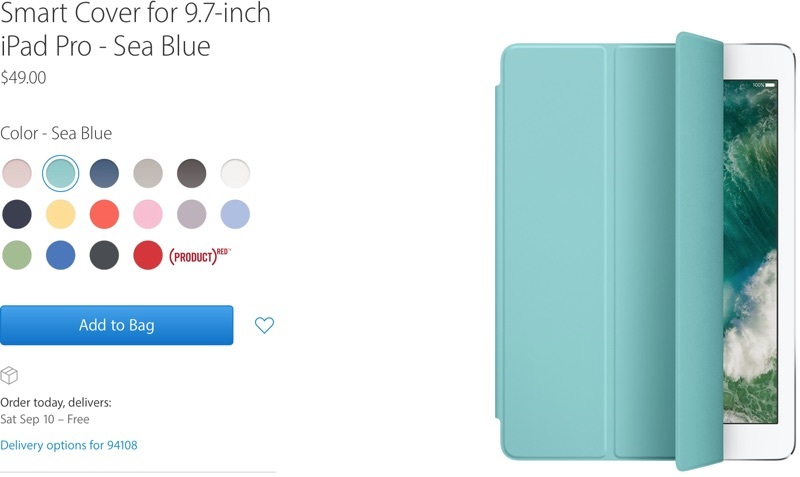 iPad Smart Covers and cases for the iPad mini 4 and 9.7-inch iPad Pro are now available in 16 different colors as some of the older shades have also stuck around. The new iPad accessories are available for order today and will deliver by September 10. Quick and dirty image superimpose - 6s leather case and 7 leather case. Doesn't look like the 7 case will fit the 6/6s as the 6s camera lens is too high for the cutout. The metallic buttons are quite nice. Since the 6/6s and the 7 are otherwise the same size (and also 6+/6s+ and 7+), I do wonder if the new cases will fit the 6-series phones. Unless they moved the power/volume buttons, I'm suspecting they'll fit. Or perhaps the 6-series camera, being smaller, sits above/higher where the new cases' camera cutout begins. Edit: who has photoshop skills? Can someone superimpose a 6-series case over the 7-series case and see if the camera lens on the 6/6s will line up with the cutout on the 7-series case? Yes, me too, that is quite disappointing.